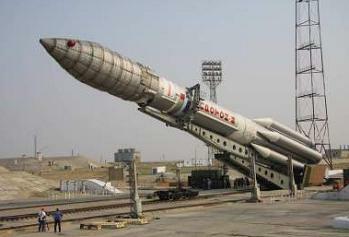 International Launch Services (ILS) have launched their Proton-M rocket on Monday. Lift off from the Baikonur Cosmodrome in Kazakhstan was on schedule at 18:38 GMT, with the Proton’s Briz-M Upper Stage then tasked with deploying the large telecommunications satellite into its desired orbit, which was successfully completed after nine hours of flight. The launch was postponed from December due to a problem with the upper stage, and again in June after Khrunichev engineers at the launch site received an out of tolerance telemetry reading on a first stage subsystem during pre-flight testing. The June delay was initially hoped to be for just one day. However, based on additional pre-flight testing performed, it was determined that further investigation is necessary, requiring the launch vehicle be returned to the processing hall for additional testing. The Proton M launch vehicle, utilizing a 5-burn Breeze M mission design, lifted off from Pad 24 at Baikonur Cosmodrome, Kazakhstan, with the SES-5 satellite on board. The first three stages of the Proton used a standard ascent profile to place the orbital unit (Breeze M upper stage and the SES-5 satellite) into a sub-orbital trajectory. Separation of the SES-5 satellite was conducted approximately 9 hours, 12 minutes after liftoff. SES’ high-powered Ku-band beams will bring incremental capacity over Africa, and the Nordic and Baltic countries to support DTH services. Its comprehensive C-band beams cover Africa, the Middle East and Europe to enable services such as GSM backhaul, VSAT applications, maritime communications and video distribution. Built by Space Systems/Loral, the 6,007 kg bird sports 24 C-band transponders and 36 Ku-band transponders. It is expected to have a service life of 15 years in its orbital slot of five degrees East. SES-5 will also carry the first hosted L-band payload for the European Geostationary Navigation Overlay Service (EGNOS). The EGNOS payload, which was developed by the European Space Agency (ESA) and the European Commission (EC), will help verify, improve, and report on the reliability and accuracy of navigation positioning signals in Europe. This latest SES mission follows the successful launch of SES-4 in February. which is now located in its GEO slow at 330 degrees East. “It is always thrilling to achieve milestones in our business but even more so when it is with a longtime customer, such as SES,” noted ILS president Frank McKenna after the launch of SES-4. 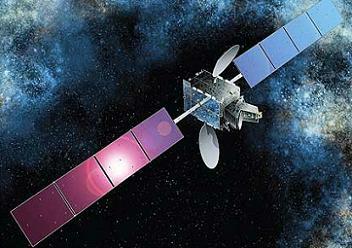 Following this latest SES mission, ILS will then be tasked with launching SES-6 in 2013. Weighing about 6 metric tons at launch, this satellite is being built on Astrium’s Eurostar 3000 platform and is expected to carry 43 C-band and 43 Ku-band transponders to serve SES’ existing cable-television customers and provide capacity for growth. (Images via ILS and SES).